When it comes to municipal tasks such as transporting waste, emptying pits and extracting sludge and waterway or road maintenance, the MAN TGM is the ideal vehicle and an all-rounder to help with all such on-road and off-road operations. The truck also impresses with its low fuel consumption, made possible by the extremely lightweight frame design with maximum stability and loading capacity. In the case of one of MAN’s municipal customer, the hydraulic engineers at their water service depots who work on waterway maintenance on a daily basis require a reliable mobile partner for on-road and off-road operations. 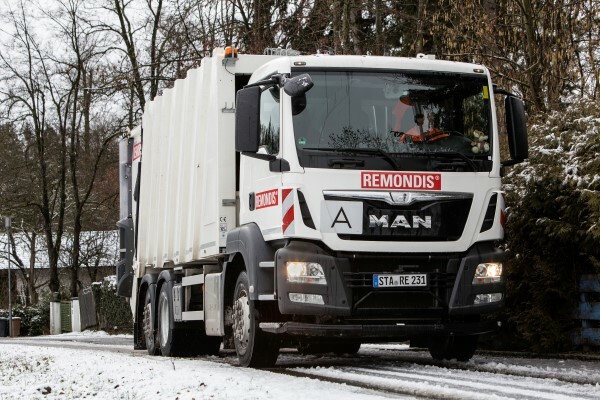 The compact two-axle and specially equipped MAN TGM truck for the water service municipal was fitted with a wheelbase of 3,600 mm in all-wheel design and with an upward-facing exhaust system that could handle fording depths of up to 70 centimeters. With special off-road tires that is so high off the ground that typical operating areas including sodden fields, slippery slopes and muddy tracks do not pose any problems for the vehicle. The model also came with a PTG tire pressure system, so that the tire pressure in each wheel can be individually reduced or increased as required. The sophisticated but intuitive transfer case lock management (VSM) also ensures excellent off-road capability. The driver can use the standard MAN rotary switch to select all switching and locking operations – controlling everything single-handedly. Another safety feature ensures that it is only possible to switch between on-road and off-road gear ratios when the vehicle is stationary and the gearbox is in neutral. The integrated hill-climbing brake provides additional assistance, as it enables the driver to make hill starts without the vehicle rolling backwards. This eases the strain on the driver during difficult maneuvers, reduces the risk of accidents caused by the vehicle rolling backwards, and reduces wear on the clutch and gearbox. The driver and passengers can also enjoy the benefits of a comfortable workplace in the cab. The driver can settle back into an air-sprung comfort seat with lumbar support, shoulder adjustment and seat heating. A passenger seat bench with individual seats allows two additional colleagues to travel in comfort. “When it comes to municipal vehicles, nothing is more important than maximizing efficiency, minimizing operating costs and environmental compatibility. We are confident that MAN TGM trucks can help provide tried and tested technical solutions for any municipal application”, said Hartmut Muller, Managing Director of MAN Truck and Bus (M) Sdn Bhd. 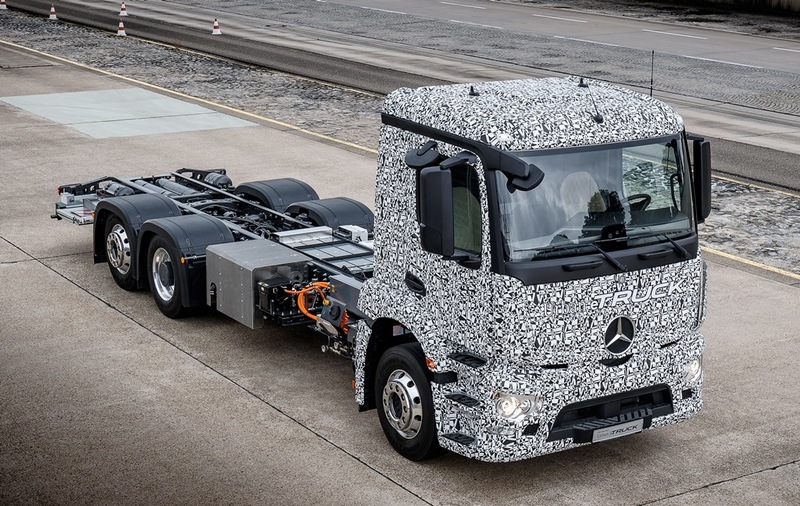 Mercedes-Benz outlined plans to start selling an electric heavy-duty truck in about 5 years, a week after Tesla Motors’ initial sketch on battery-powered commercial vehicles failed to impress investors. The Mercedes-Benz Urban eTruck will have a range of about 200 kilometers (120 miles) per battery charge and capacity for loads of as much as 26 metric tons, parent company Daimler said recently. The model, targeted for inner-city tasks such as supermarket deliveries, could go on sale by the start of the next decade, it said. 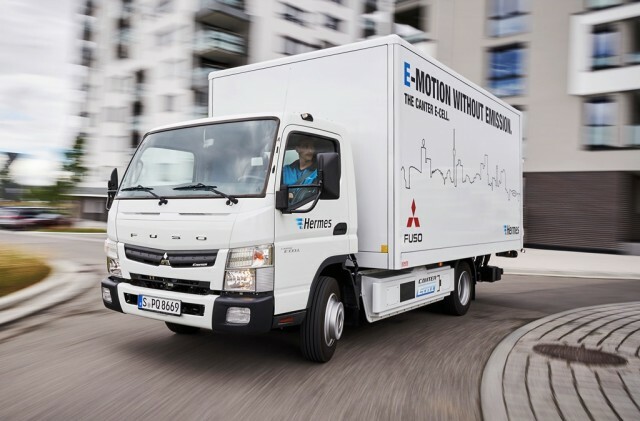 Truckmakers are starting to develop electric models to meet tighter emissions rules for city centers, though options are limited due to a lack of batteries with the durability to propel fully loaded vehicles for long periods of constant use. 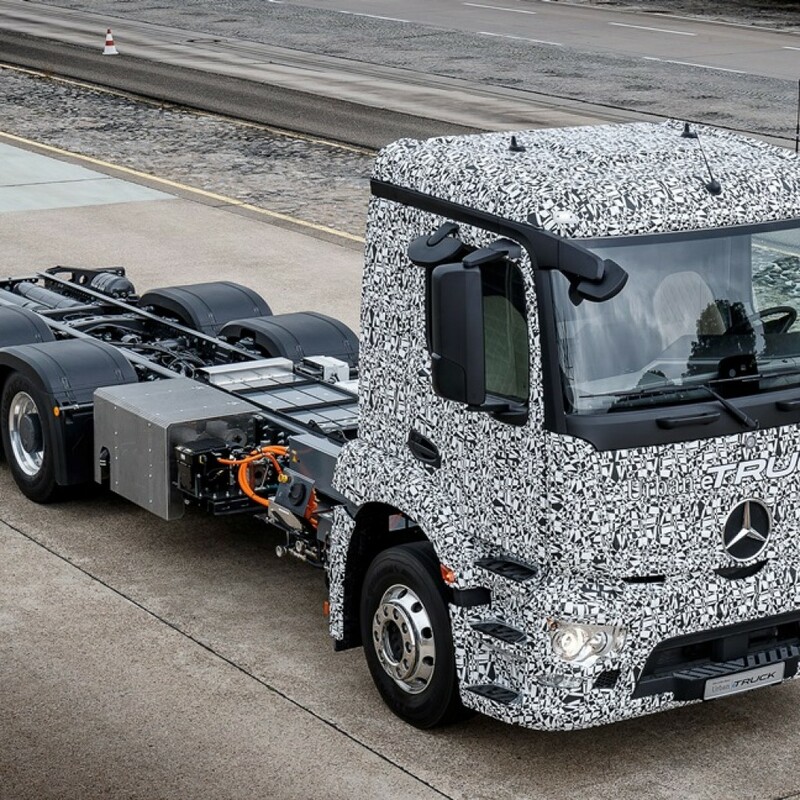 Trucks tested include the 6-ton Canter e-Cell from Daimler’s Fuso brand and a model from Swedish competitor Scania that’s powered by overhead electric cables, while U.S. startup Nikola Motor has outlined plans to unveil a battery-powered prototype in December. Tesla CEO Elon Musk included a freight truck as part of a proposed lineup expansion in his July 21 master plan for the U.S. manufacturer. While the company’s Model S sedan was the first e-car with broad appeal, a commercial vehicle will pose a new challenge as fleet operators focus on cost of ownership and durability over design and comfort features. Customers will also be reluctant to risk buying unproven technology, said Tom De Vleesschauwer, an analyst at research company IHS Markit. Tesla has the potential to overcome those doubts by cooperating with co-founder Ian Wright’s Wrightspeed, a manufacturer that specializes in electrifying trucks, De Vleesschauwer said. Sales of electric versions might account for 4% of European Union and U.S. medium- and heavy-duty truck sales by 2025. Scania has launched a series of new smartwatch apps that focus on the well-being of professional drivers. The Apple Watch Scania Edition introduces apps for health and fitness tracking for the individual driver, providing features specifically designed for jobs where long periods of sitting are combined with short bursts of heavy physical labour, like loading/unloading a truck. 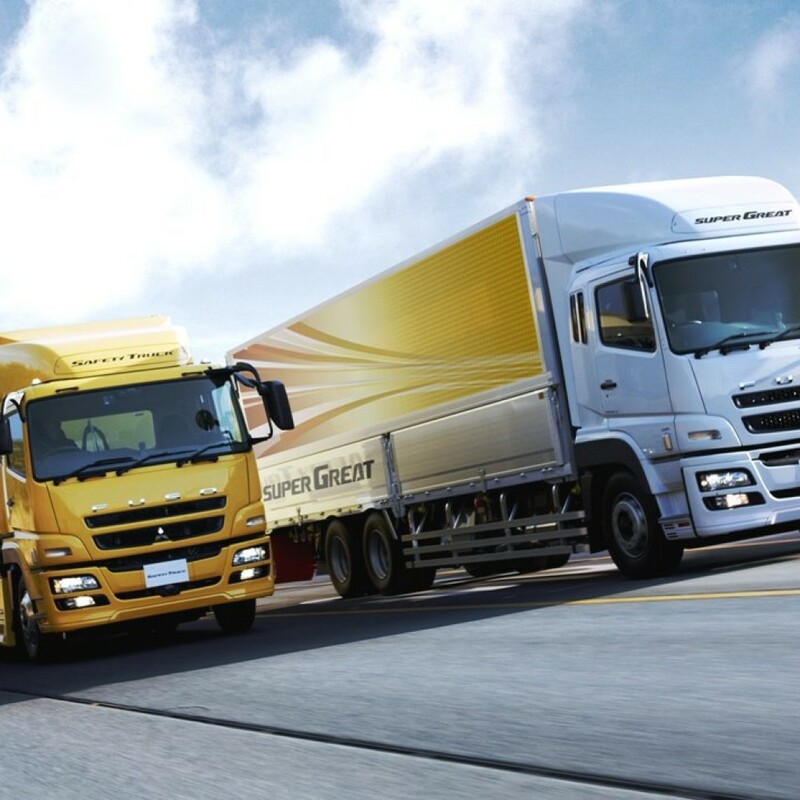 The new driver performance functions complement truck and fleet management features, such as fuel consumption monitoring. Those vehicle data functions were previously an integral part of Scania’s popular ‘Black Griffin’ smartwatch, the first watch created for truck drivers. “We’ve always had drivers’ needs as the main focal point for our product and service development, but the Scania Edition takes things a step further. 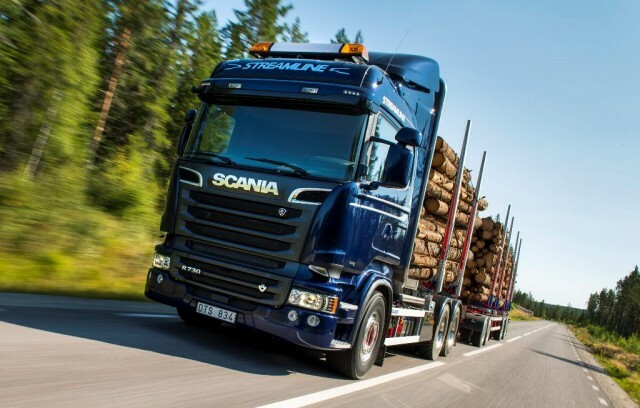 We believe the new watch can be a friend to the driver, something that can help them as they go about their daily routine,” says Jonas Svanholm, Scania’s Director of Digital Business. • The watch’s ability to track the driver’s performance allows it to send a message to the wearer when they are becoming tired and may need to stand up or move around – giving the wearer the chance of a recovery time before they start driving again. • A fall detection app means the watch can sense sudden extreme impacts, such as if an accident happens during the loading and unloading of cargo, a job that a truck driver often has to do alone and late at night. When a possible fall has been detected, the smartwatch can assist in contacting the wearer’s designated emergency contact. 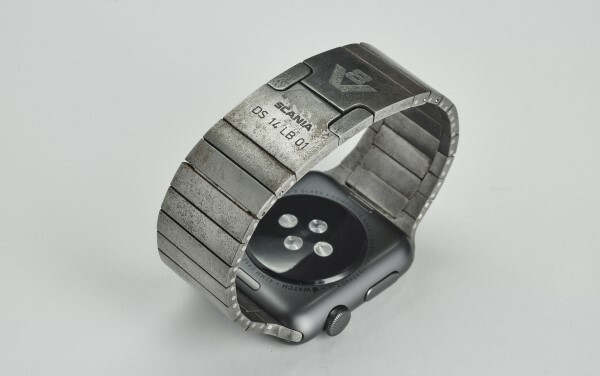 Scania has also created a unique optional accessory to mark the launch of the Apple Watch Scania Edition. A vintage engine block from the renowned LB 140 V8 engine has been melted down, re-forged and turned into a cast iron watch strap, called the Scania 140 V8 watch bracelet. “We wanted to create something to celebrate the V8. Back in 1969 this engine helped coin the phrase “King of the Road”, and the V8 is at the heart of Scania. With this bracelet, we can let you wear a piece of motoring history on your wrist and connect part of our heritage to our future,” explains Magnus Andersson, Scania’s Product Manager for Digital Business. The Apple Watch Scania Edition and the Scania 140 V8 watch bracelet are available now to buy from selected Scania retailers, and through the Scania web shop. The applications for the watch can be downloaded from App Store. Mercedes-Benz Malaysia Commercial Vehicles, recently presented 15 delighted FUSO truck customers who participated in the FUSO Diamond Mini Draw Contest 2016 / 2017 with attractive prizes in a special customer appreciation event. Five of the lucky 15 winners each won an exclusive trip to Japan and service and parts vouchers worth a total of RM 85,000. Meanwhile, 10 other fortunate customers each won consolation prizes of service vouchers worth RM 1,000. 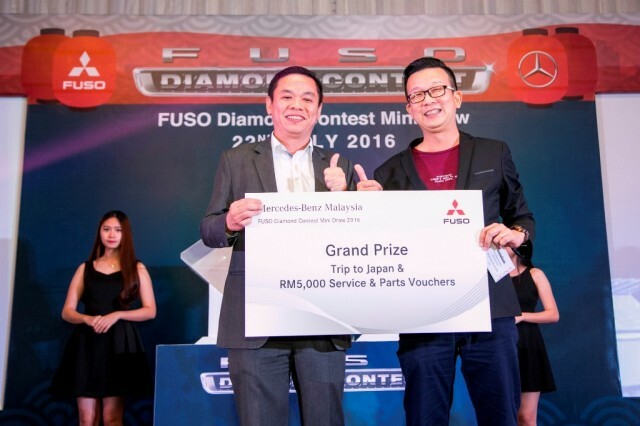 “Mercedes-Benz Malaysia congratulates the winners of the FUSO Diamond Mini Draw Contest. This year’s contest exceeded our expectations as we received a total of 885 entries. We look forward to seeing the same enthusiasm from our loyal customers in the upcoming Grand Final Draw contest,” said Mercedes-Benz Malaysia Vice President, Commercial Vehicles, Albert Yee. Toi Toi Services Sdn. Bhd. emerged as the winner of the Mini Draw grand prize; receiving a trip to Japan and service and parts vouchers worth RM 5,000. Meanwhile, Biforst Logistics Sdn. Bhd., Lee Tin San Lorry Transport Sdn. Bhd., SK Keong Trading Sdn. Bhd and Dynasty Recycling Disposal Service Sdn. Bhd., were named first, second, third and fourth prize winners, bagging a trip to Japan and service and parts vouchers worth RM 4,000, RM 3,000, RM 2,000 and RM 1,000 respectively. The 10 consolation prizes went to Majlis Bandaraya Johor Bahru, Tan Yeong Aik, Syed Food Holdings Sdn. Bhd., Instant Logistics Enterprise, KB Atlantic Sdn. Bhd., GKV Brothers Enterprise, Hap Seng Plantation Sdn. Bhd., Namah Timber & Hardware Sdn. Bhd., PTWO Marketing Sdn. Bhd., and Bindu Florikultur Sdn. Bhd. Each received a RM 1,000 service and parts voucher. The FUSO Diamond Draw contest is an initiative to acknowledge Mercedes-Benz Malaysia’s valued commercial vehicle customer base. The contest, which began in 2006, also serves as a platform for Mercedes-Benz Malaysia to engage with customers and demonstrate appreciation for their unwavering loyalty to the FUSO brand of commercial vehicles. The FUSO Diamond Mini Draw Contest is open to customers who purchased FUSO trucks and registered with the Road Transport Department (JPJ) from 1 January 2016 to 31 May 2016. Customers who emerged winners in the Mini Draw Contest are also eligible to participate again in the upcoming FUSO Diamond Grand Final Draw Contest in 2017, and will stand a chance to win a Mercedes-Benz C200, as well as a trip to Japan and service vouchers, with a total worth of RM 385,000. MAN can be pleased with the award to provide 28 new city buses from the MAN Lion’s City CNG and MAN Lion’s City Hybrid product series for Barcelona’s public transport system. 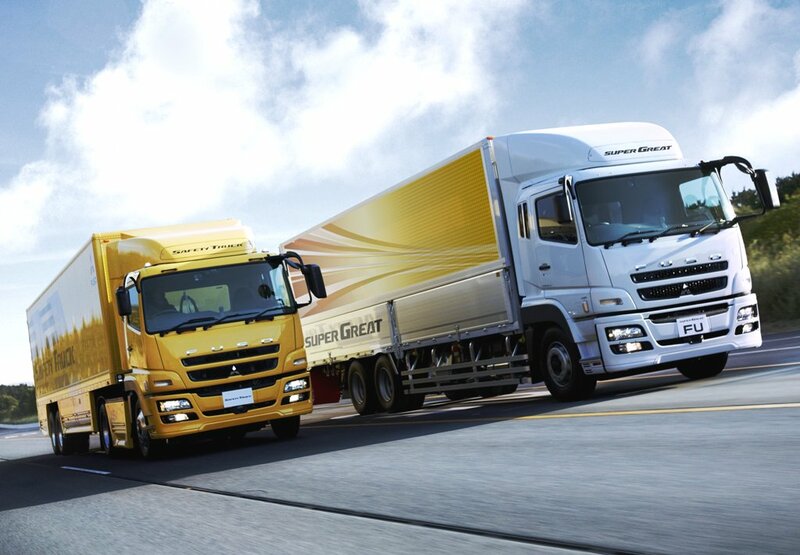 An additional 59 vehicles from both product series will also be delivered to Madrid during the course of this year. The hybrid buses will be the first of their kind from MAN to be operated in the Spanish capital. In addition to the diesel hybrid drive, these vehicles include other new features such as automatic fire extinguishing systems, space to accommodate two wheelchairs, free Wifi, built-in multimedia information screens and USB ports. “We are very pleased with the results we have achieved, both in Barcelona and in Madrid. Particularly in Barcelona the TMB has awarded us with the order of 100% of the vehicles we initially offered, meaning we will have achieved a total share of 35.9% of the new supply. In Madrid, MAN is already providing 30% of the new city buses ordered in 2016 and now has the highest number of hybrid buses in the capital of any company,” points out Manuel Fraile, director of the bus group MAN Truck & Bus Iberia. MAN has thus clearly underpinned its expertise in the field of CNG and hybrid drive. The 42 CNG buses will be manufactured by the local MAN partner Burillo. The purchase of a grand total of 18 new MAN Lion’s City CNG buses by the city of Barcelona to complement the 21 of these vehicles made by the Spanish manufacturer Castrosua that are already in operation on the Catalan streets, further proves how attractive MAN’s gas-powered buses really are. 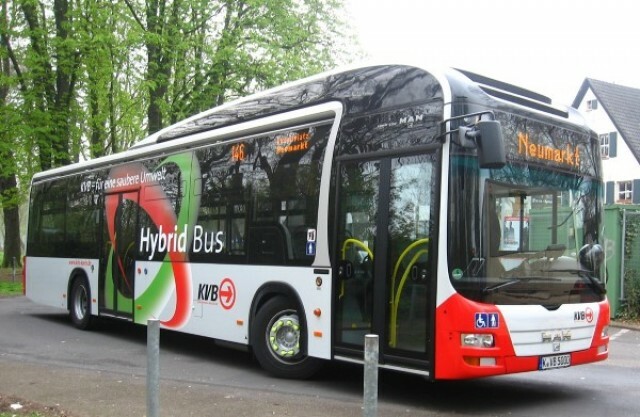 The MAN hybrid complete buses were already able to convince in the past. According to Francisco González Balmas, technical director of the TMB in Barcelona, this is largely due to how the MAN Lion’s City Hybrid has maintained an excellent balance of technology and economy throughout their internal selection processes, something which was already proven by the vehicles in their 2010 line. Moreover, the continuous support from MAN mechanics located directly on-site at TMB was of significant importance. This hard work kept interruptions in service to a minimum. On 23 August, Scania will start the launch of its new truck generation by revealing the first units designed for the European long-haulage segment. This first launch will mean the public debut of the largest ever investment in new products and services by Scania, which at the same time is celebrating its 125th anniversary. 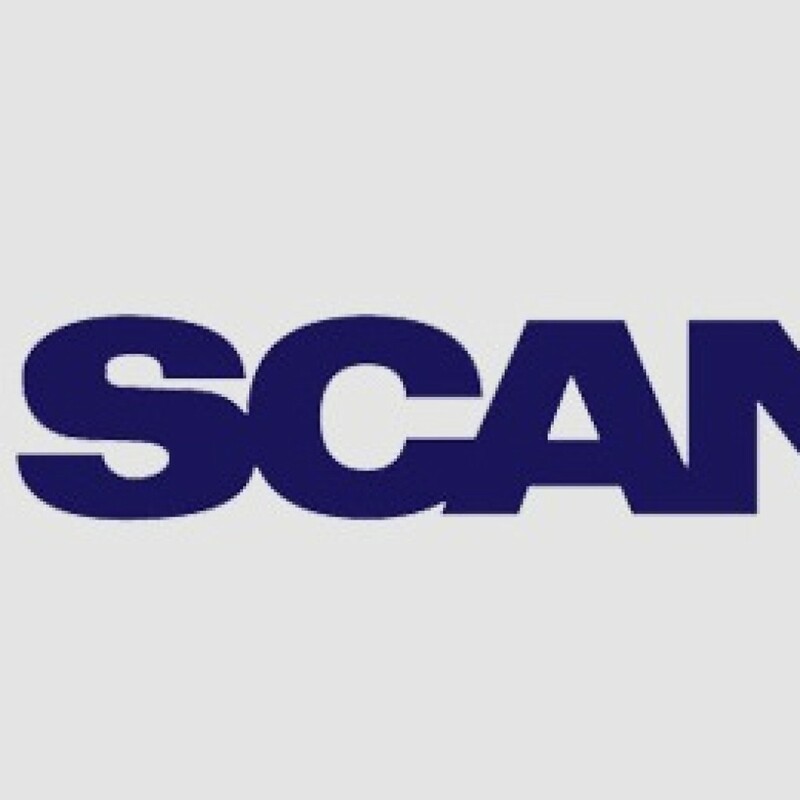 Scania is introducing its new offer in several phases, with a clear focus on different industries and customer segments, following a carefully planned schedule, where Scania’s current and highly regarded truck generation will be sold in parallel. 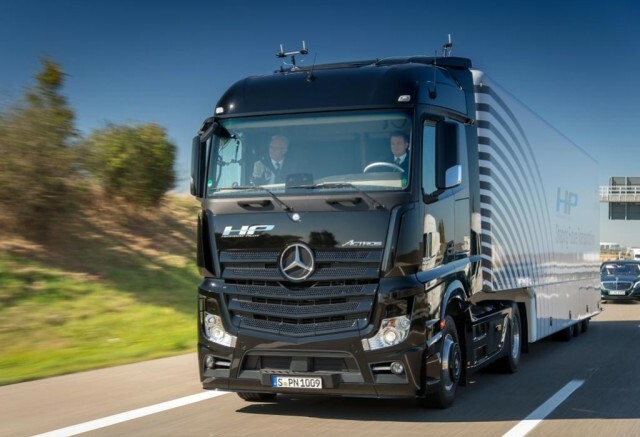 The gradual introduction of the new generation will start with applications for trucks in the European long-haulage segment and will later be followed by additional truck variants. 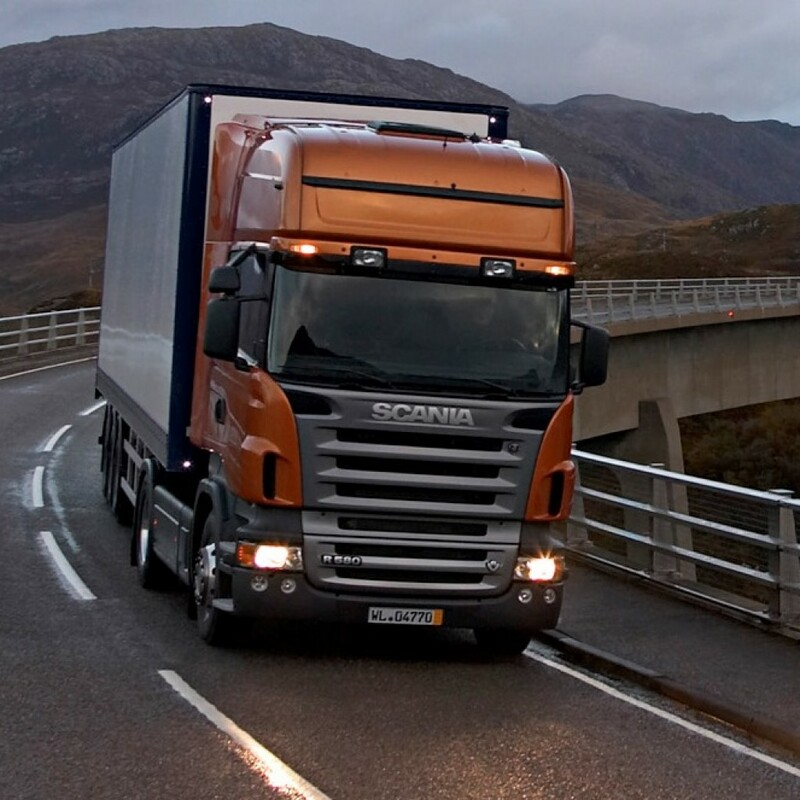 The common denominator is that Scania has developed a broad range of tailored products and service solutions, which help to reduce operating and maintenance costs, and also to boost vehicle uptime. Scania aims to become the leader in sustainable transport, where partnerships and digitalisation will play an increasingly important role. Sustainability is also one of the watchwords in the coming launch, as this will be crucial for the future competitiveness of Scania and its customers and also for their customers. Volvo announced that it has cut its outlook for the North American truck market when the company released its second quarter earnings Tuesday. 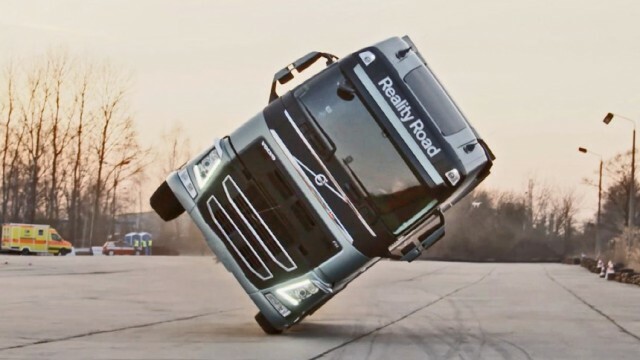 Volvo’s North American truck orders dropped 29 percent in the second quarter, and the Gothenburg, Sweden-based company shaved 10,000 trucks from its most recent forecast adjustment – down to 240,000 units for the year and 20 percent fewer than last year. Volvo has been ramping down truck production production cuts and announced another round of layoffs at its Dublin,Va., truck assembly plant Monday. Profit margins from the company’s truck unit fell to 5.5 percent, down from 11.5 percent a year ago. Volvo reported a net income from April to June of $230 million, down from $600 million in the same quarter a year earlier. 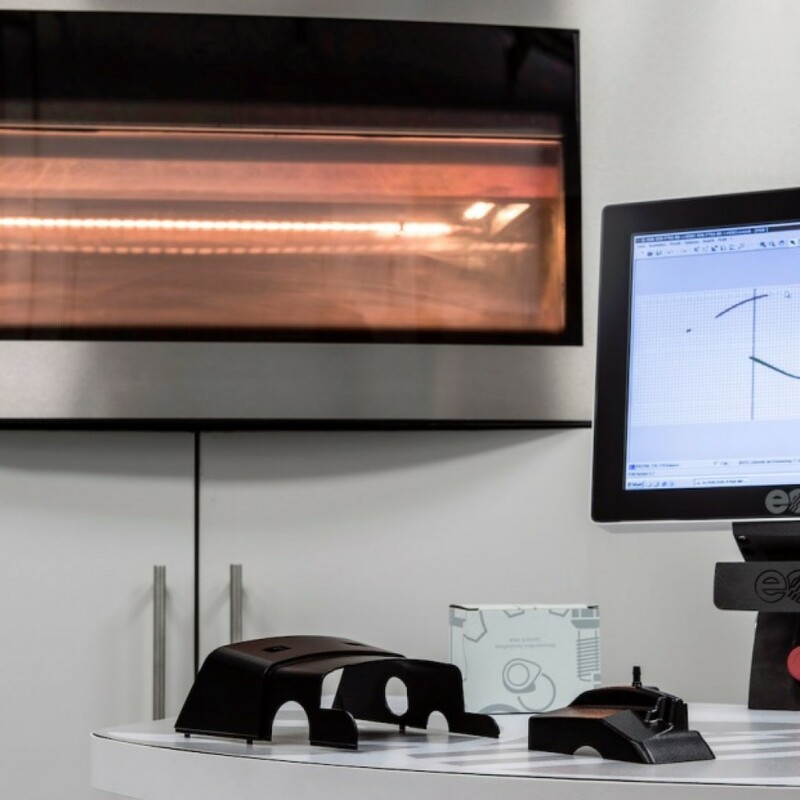 Utilising pioneering future technology Mercedes-Benz Trucks is using the latest 3D printing processes to produce plastic spare parts as a standard production method in the Customer Services & Parts sector. 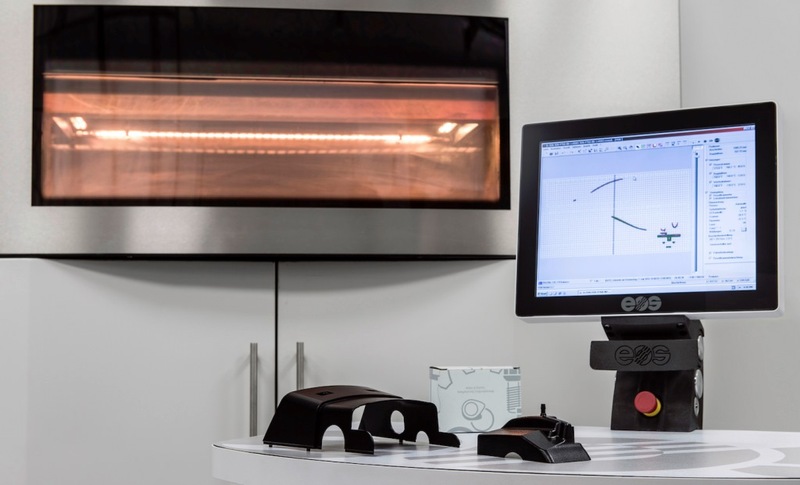 As of 30 September GenuineParts can be ordered and supplied at the press of a button from the 3D printer, quickly, economically, in any quantity and always in consistent genuine manufacturer’s quality (“one-piece demand”). 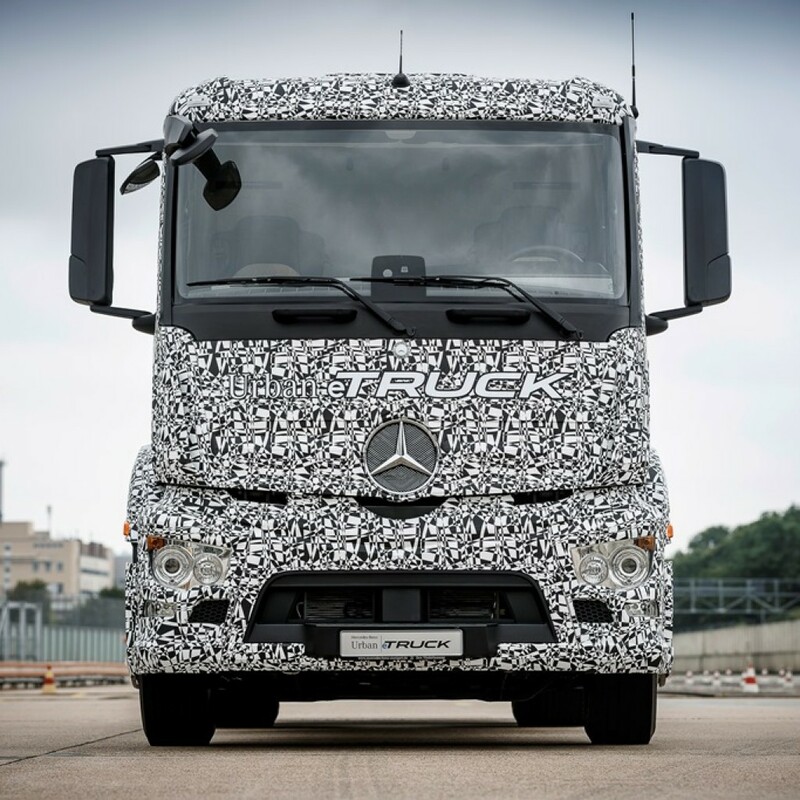 With the use of 3D printing technology as an innovative state-of-the-art production process in after sales, Mercedes-Benz is taking on the pioneering role and technological leadership among the global truck producers. In the first half of 2016, the industry of automobile has being recovery and maintaining a constantly increase trend. 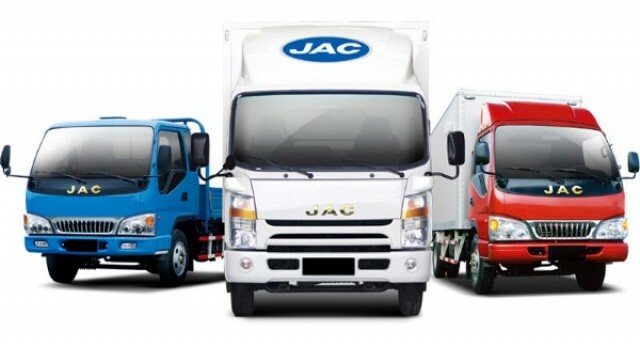 From January to June, JAC has sold all kinds of vehicles 333639 units, up by 14.15% year-on-year; And JAC has manufactured 333642 units accumulatively, up by 12.78% year-on-year. It’s worth mentioning that according to the figures of first half year, JAC SUV has produced and sold 143464 units and 143781 units respectively, up by 29.01% and 30.09%; meanwhile, JAC pure-electric vehicle has been produced 10031 units and been sold 9720 units in the first half of 2016, up by 303.66% and 261.07% respectively. Megacities, traffic gridlock, environmental problems – the hot topics are the same on every continent. Under these circumstances, people’s need for mobility to attend work and school and take recreation, cannot be met by private transport alone. Daimler as a mobility provider has a number of possible solutions. A major one is a range of buses, especially when used as a complete, individually coordinated transport system for urban environments. What urban public transport will look like in the future is shown by the semi-automated city bus with CityPilot – it operates even more safely, efficiently and comfortably than conventional buses. Connectivity plus camera and radar systems with data fusion are catapulting the city bus into the future. 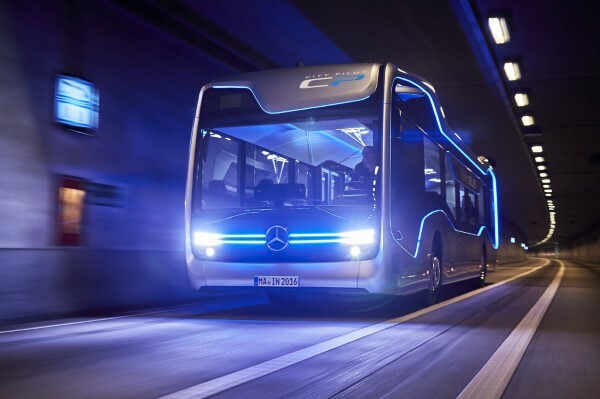 Mercedes-Benz is showing this spectacular technology on an equally spectacular technology platform, the Mercedes-Benz Future Bus with CityPilot. Together they set a milestone, both in the history of the bus and on the way to autonomous and accident-free driving. Daimler is the leading manufacturer of vehicles with automated driving functions. With the Mercedes-Benz Future Bus, Daimler Buses is now presenting its very specific idea of a city bus of tomorrow. The Mercedes-Benz Future Bus with CityPilot further enhances the attractiveness of the city bus as a means of transport. This above all applies to passengers, but also to drivers and bus operators. All three groups benefit from a revolutionary design and trailblazing technology. 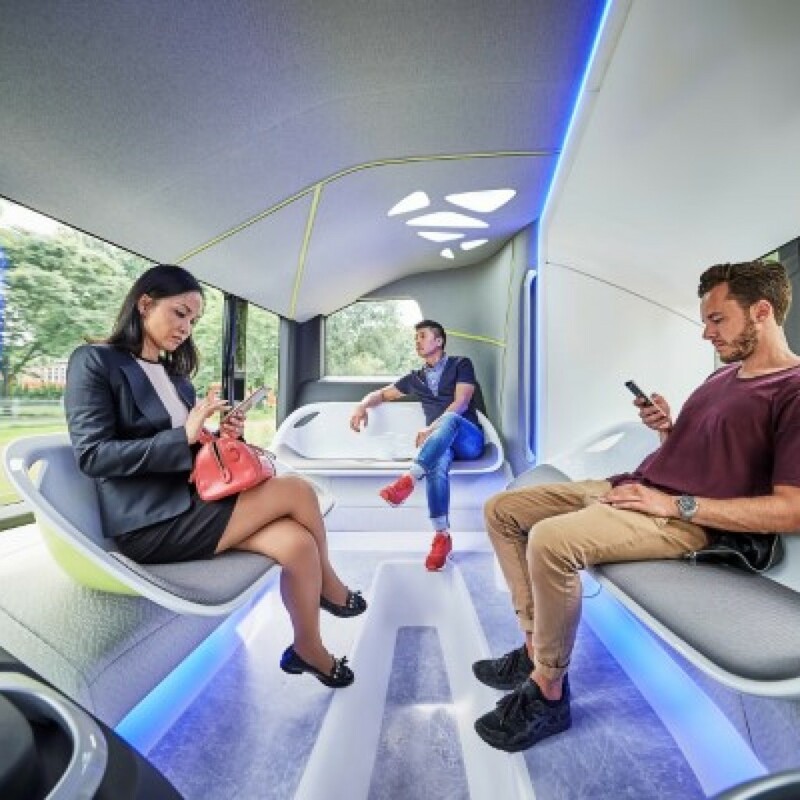 The bus becomes one with its environment, both in terms of its exterior and interior design and of the technology employed as it moves along its dedicated line and communicates with its surroundings. 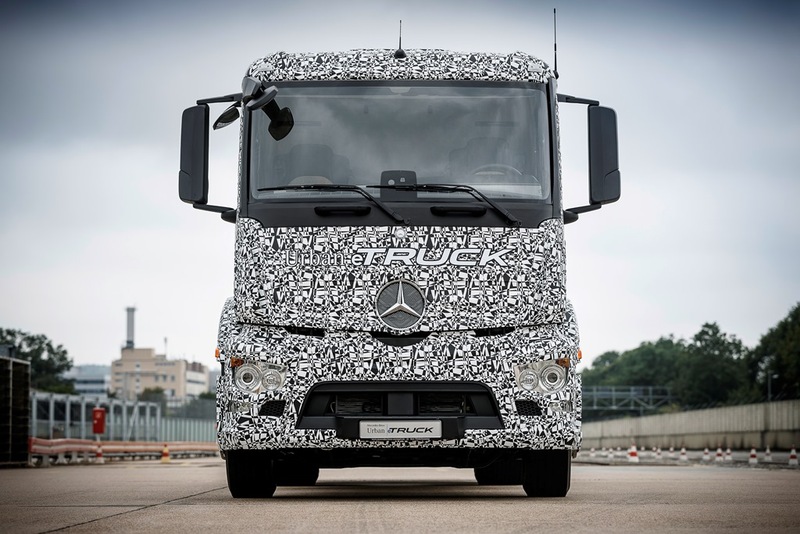 The technology of the CityPilot in the Mercedes-Benz Future Bus is based on that of the autonomously driving Mercedes-Benz Actros truck with Highway Pilot presented two years ago. It has however undergone substantial further development specifically for use in a city bus, with numerous added functions. The CityPilot is able to recognise traffic lights, communicate with them and safely negotiate junctions controlled by them. It can also recognise obstacles, especially pedestrians on the road, and brake autonomously. It approaches bus stops automatically, where it opens and closes its doors. And not least, it is able to drive through tunnels. Just under a dozen cameras scan the road and surroundings, while long and short-range radar systems constantly monitor the route ahead. There is also a GPS system. Thanks to data fusion, all the data received create an extremely precise picture and allow the bus to be positioned to within centimetres. This already works in practice, as demonstrated by the world premiere of the CityPilot on an exacting route covering almost 20 km, with a number of tight bends, tunnels, numerous bus stops and involving high speeds for a city bus. This semi-automated city bus improves safety, as it relieves its driver’s workload and nothing remains hidden from its cameras and radar systems. It improves efficiency, as its smooth, predictive driving style saves wear and tear while lowering fuel consumption and emissions. With its smooth and even rate of travel it also improves the comfort of its passengers. 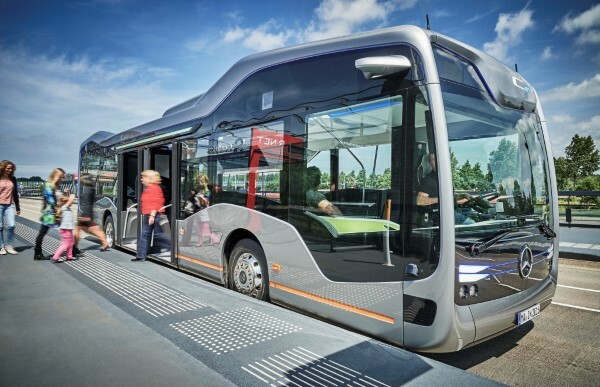 The CityPilot is presented in the Mercedes-Benz Future Bus as a technology platform. The around twelve metre long solo bus based on the globally best-selling Citaro is a completely new departure in terms of exterior and interior design. Its harmonious lines and asymmetrical contours take their lead from city architecture. Whether with its design, lighting, door layout or information systems – the unique Mercedes-Benz Future Bus fully lives up to its name. The same applies to the interior, the open-plan design of which takes its lead from city squares and parks. The passenger compartment is truly a passenger’s dream. It is divided into three zones for different lengths of stay. Designer seats are loosely arranged along the walls in each zone. Innovative grab rails reflect the park-like theme by branching upwards like trees towards the two-tone ceiling. The ceiling lighting resembles a leaf canopy. Operators are able to relay information and entertainment via large monitors in the middle segment of the passenger compartment. The completely newly designed cockpit is an integral part of the interior space. The driver receives the information he/she requires from a large screen with an innovative display. The Mercedes-Benz Future Bus with CityPilot is making its first public journey on part of Europe’s longest BRT route (BRT = Bus Rapid Transit) in the Netherlands. This links Amsterdam’s Schiphol airport with the town of Haarlem. This almost 20 km long route is a real challenge for the Mercedes-Benz Future Bus, as it has numerous bends and passes through tunnels and across junctions with traffic lights. It is ideally suitable for BRT systems, with which it is possible to resolve worldwide traffic problems in densely populated areas and metropolitan regions. 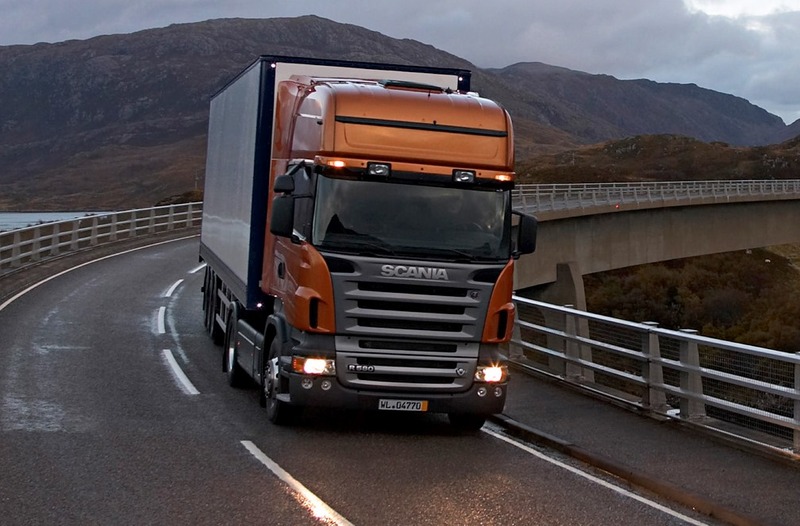 It operates highly efficiently, significantly improves the level of safety and relieves driver workload. Daimler Buses is thereby developing the bus transport system of tomorrow.